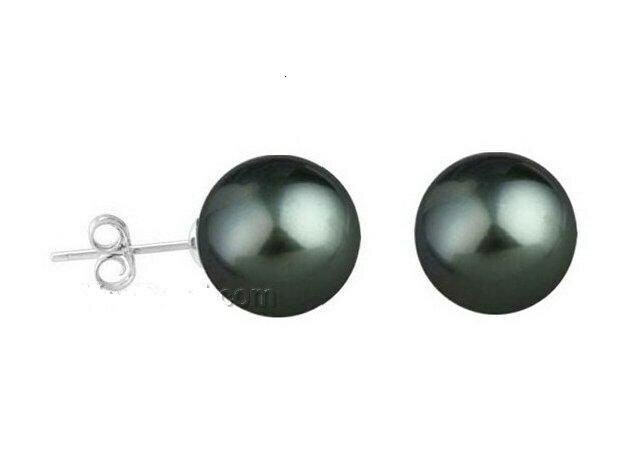 Lovely pair of 12mm black sea shell pearl stud earrings on sterling silver posts. . The pearl is perfectly smooth.